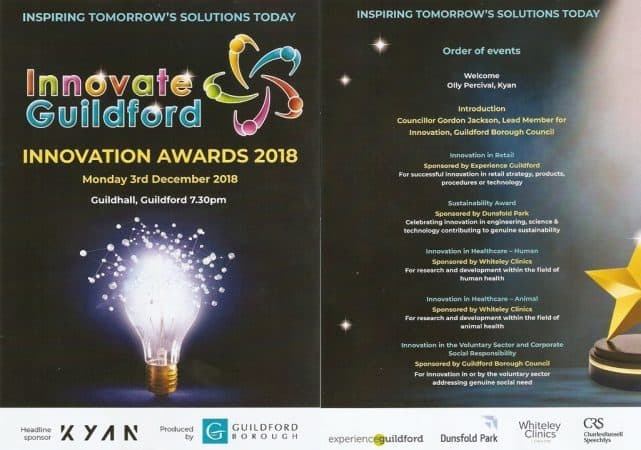 This evening, Innovate Guildford held the “Innovation Awards 2018”. Prof Mark Whiteley and Miss Vicki Smith (directors) attended representing The Whiteley Clinic. 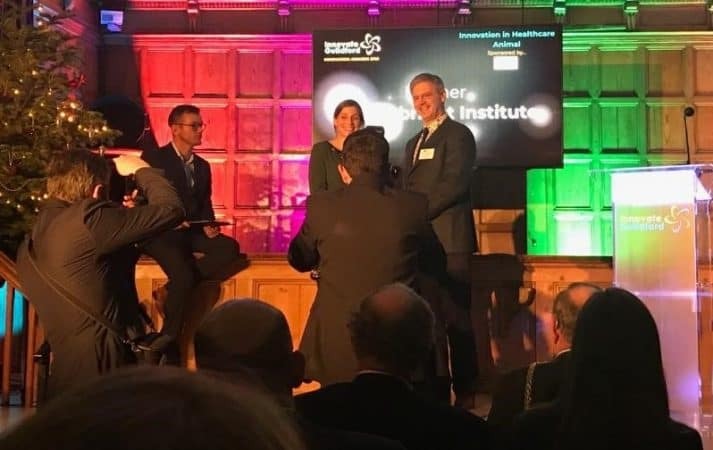 This year, The Whiteley Clinic sponsored the Innovation in Healthcare Award. In fact, there was an Innovation in Healthcare Award for both human and animal. 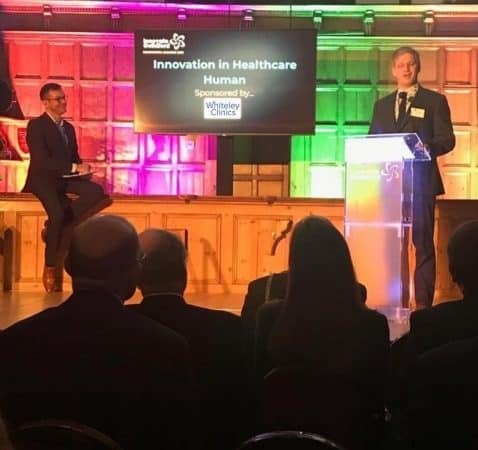 Innovation in Healthcare Award – Human. 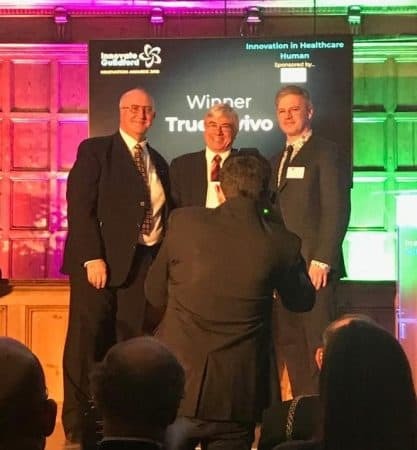 The winning team for innovation in healthcare in the human category were Trueinvivo. This very innovative company is involved in making radiotherapy more precise. The aim is to increase the damage of a tumour, protecting surrounding tissue. Innovation in Healthcare Award – Animal. The winners of the innovation in healthcare in the animal category was the Pirbright Institute. The Pirbright Institute has developed tests to identify certain diseases quickly. This helps overstretched vets come to a quick diagnosis, particularly in times of disease outbreak. Innovation in Healthcare – The Whiteley Clinic. The Whiteley Clinic has always been based on innovation. It was first set up following the introduction of endovenous surgery into the UK by Mark Whiteley in March 1999. Mark and his team went on to invent the TRLOP technique, and have developed an understanding of how endovenous surgery works. By understanding the mechanism, they have been able to develop the Whiteley Protocol. Their audited results show that they have got the risk of recurrent varicose veins to a minimum by using this approach. Not only has Mark and his team innovated scientifically but, they also innovated spreading their information. Mark set up his first website in 1999 – the veins website. This was one of the first medical websites in the UK. As a natural innovator, Mark is very happy that his company sponsors this very interesting and important award.